Simple, Elite-inspired, space simulator prototype. 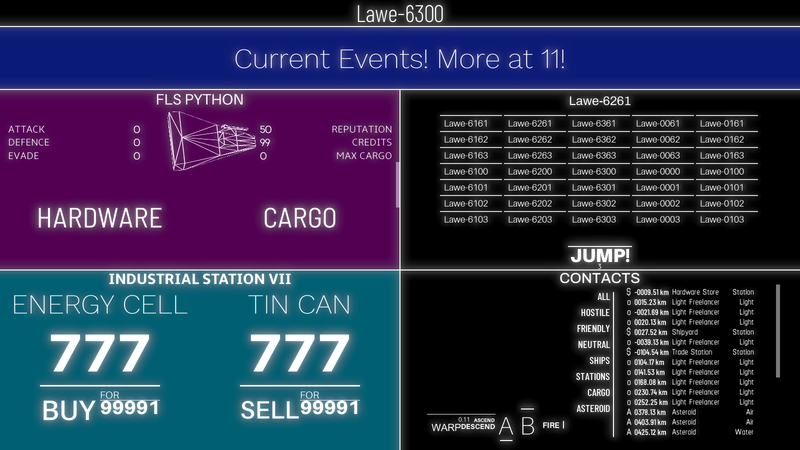 All data crammed into single single screen text-based UI. Gameplay cycle is a classic mix of trading, fighting, mining and exploring. Here's a screenshot of a prototype.